David Robertson got what he wanted – a massive contract for a reliever – and the New York Yankees will be just fine as Houdini heads to the Windy City. Robertson has reportedly agreed to sign a four-year, $46 million contract with the Chicago White Sox. The deal was first reported by Bob Nightengale of USA Today via Twitter. Robertson indeed will make "Jonathan Papelbon" money, coming up slightly short in average annual value to Papelbon’s deal with the Philadelphia Phillies. Until yesterday, there was still some speculation that the Yankees could engage and try to re-sign Robertson. According to a tweet from Jack Curry of the YES Network, the Yankees never made Robertson an official offer. Word that the Yankees were willing to go to four years, but only if they could keep the average annual value of the deal lower might have been overblown. The Yanks obviously decided they would not, and in my opinion it will not matter. With the Yankees committing four years and $36 million to Andrew Miller this past Friday, it seemed the Yanks would be OK with moving forward without Robertson. As it stands right now, the Yankees have the following veteran relievers – Miller (LH), Dellin Betances (RH), Justin Wilson (LH), Shawn Kelley and Esmil Rogers. The Yankees have asked Adam Warren and David Phelps to be ready to compete for a starter’s role in spring training. It is somewhat safe to assume the loser of that battle (if it actually ensues) will be in the pen. This allows for the addition of another arm if the Yankees choose. There are several veteran relievers with closing experience on the market which will cost the Yankees far less than Robertson. They include Jason Grilli, Rafael Soriano, Francisco Rodriguez, Sergio Romo and Casey Janssen. The Yankees could opt to sign one of these players and utilize Miller and Betances in roles as firemen/setup men. Of course the other option is to ask one or both of the Miller/Betances combination to be the closer. Yankees manager Joe Girardi seems to like defined roles, but it is hard to argue with having the ability to use either Miller or Betances to close out a game based on the situation in front of him. If the Yankees decide not to sign a veteran closer, it could open the door for lefty Jacob Lindgren to join the major league club. The Yankees also have righties Danny Burawa and Preston Claiborne plus lefties Manny Banuelos and Jose De Paula on the 40-man roster. They have Andrew Bailey and Tyler Webb on the Triple-A roster. If they decide against signing a veteran closer the Yankees could check in on a proven setup reliever like free agents Luke Gregerson or Pat Neshek. 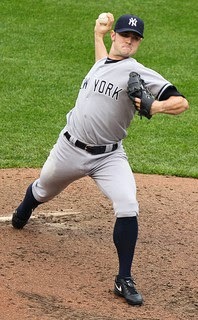 Robertson was indeed a valuable piece to the Yankees during his time in the Bronx. His Houdini act wore thin with some fans, but I saw him as an extremely good reliever. He took over the closer role from the best to ever man it in Mariano Rivera and Robertson didn’t seem the least bit overcome by the role. But, in this day of trying to maximize value, the Yankees decided that Miller was a better fit for them for four seasons and $10 million less in salary than Robertson. The Yankees also receive a compensatory draft pick in the First-Year Player Draft, which will go a long way in helping the franchise rebuild the farm system. Of course, the added pick would also soften the blow of signing a top-flight starter like Max Scherzer, who would cost the Yankees their first round pick. I have no issues in the Yankees going this route. I would have loved to have seen a Miller/Betances/Robertson bullpen, but I completely understand the Yankees thought process here. There are plenty of young arms in the system so spending $80+ million on two relievers could be viewed as overkill. What are your thoughts? Did the Yankees pick the right guy in Miller? Will they rue the day they let Robertson go, or will he soon be forgotten? Let me know in the comments below.